Today’s featured item is something that’s going to speed up your homebrewing and ease relations with your significant other. 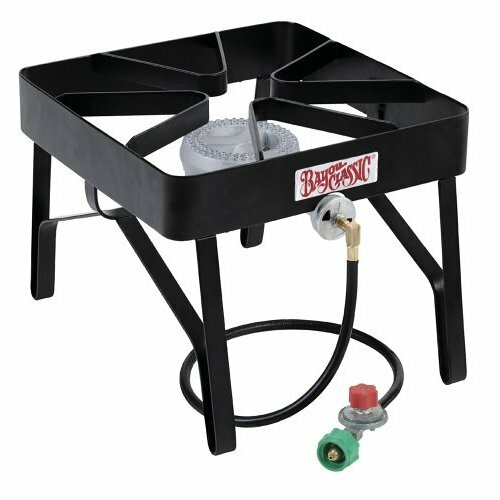 A propane burner isn’t a required piece of equipment for extract brewers, however after one wort boil over, it might become required by your significant other. Wort not only turns into delicious beer, but when it spills all over your stove top, it can make a mess that is a pain to clean up. That’s reason number one that getting a propane brewer is a good idea. Reason number two is that a stove top burner can only heat up a full brew pot so quickly. It only has some much heat energy and it can take a while. Try a propane burner and you will notice the difference at how quick it heats up your boiling water and later wort. Learn more about homebrewing with the free Passion For The Pint eCourse. Next article Did You Get Homebrewing Equipment For Christmas?